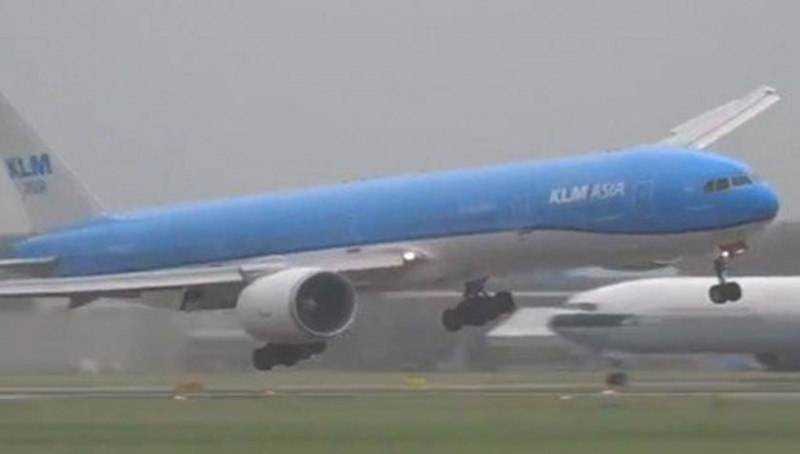 This happened at Schiphol Airport in Amsterdam, The Netherlands when the weather was really bad. The brave pilot continued with the landing, despite the plane being shaky. What a hero pilot!